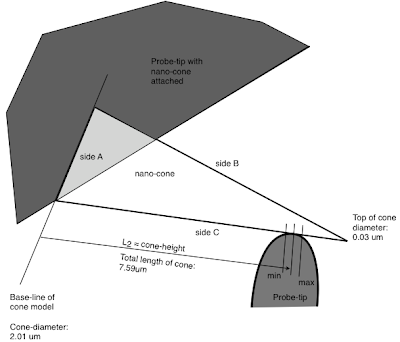 By measuring at several sites along the height of a carbon nano cone, the contact resistance can be calculated. In this experiment we used a cone shaped nano material with a total length/height of 7.59 um, as can be seen in the movie below. 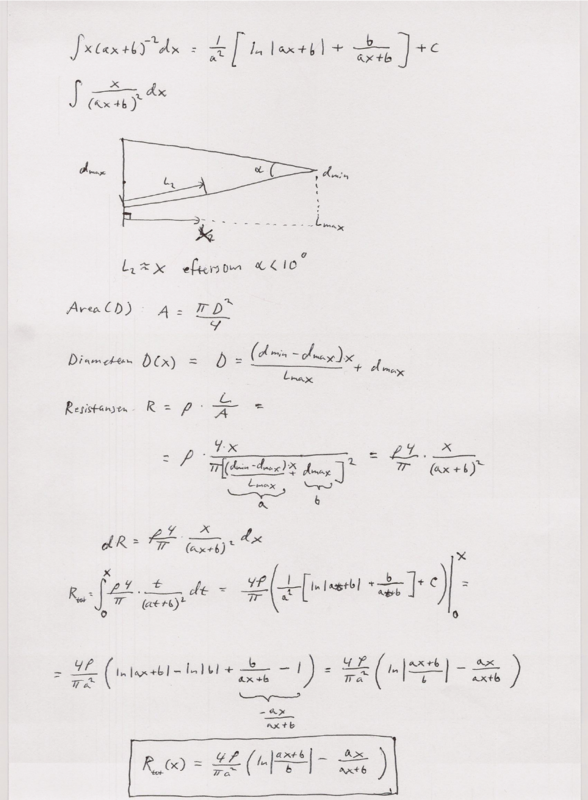 The simple sketch below shows the system setup. At the top left is the gold-probe with the attached carbon nano cone, the sharp needle looking thing and in the bottom right is the opposing movable gold-probe that is used for resistance measurements. 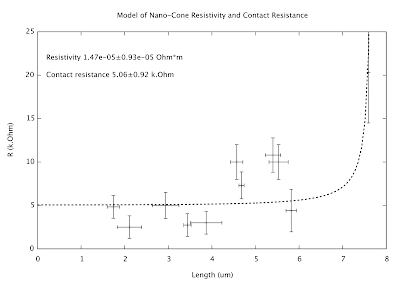 To estimate the contact resistance one need to make a model of the geometry of the cone and it's dependency on resistance, this will give a non-linear curve (for a cone) in a resistance vs length plot. 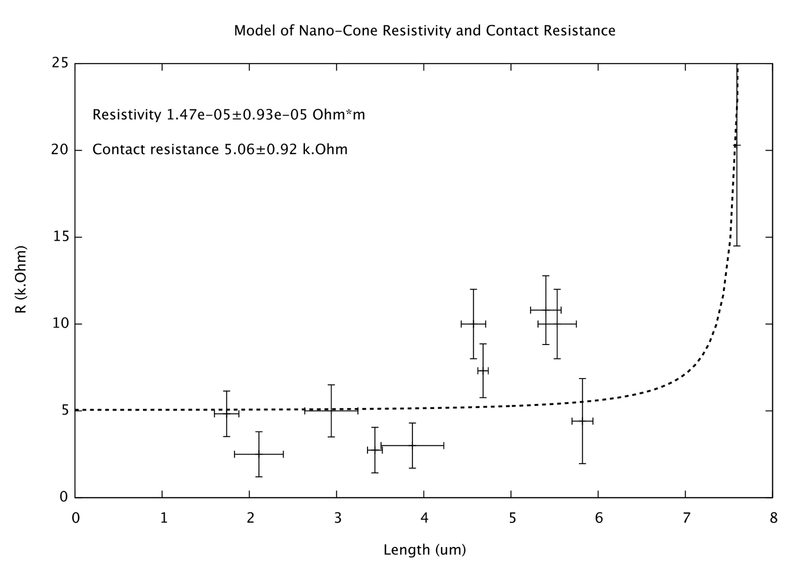 Curve fitting of the model can be made to the data and this determines the resistivity of the material and the unknown contact resistance, and in this case the later is 5.06 kOhm. 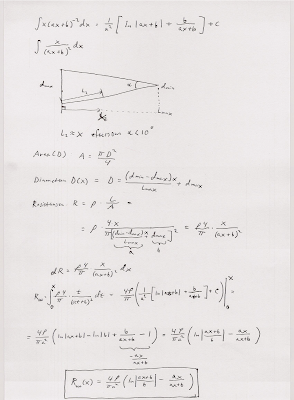 Below you can see the calculations for the modeling of the solid cone.